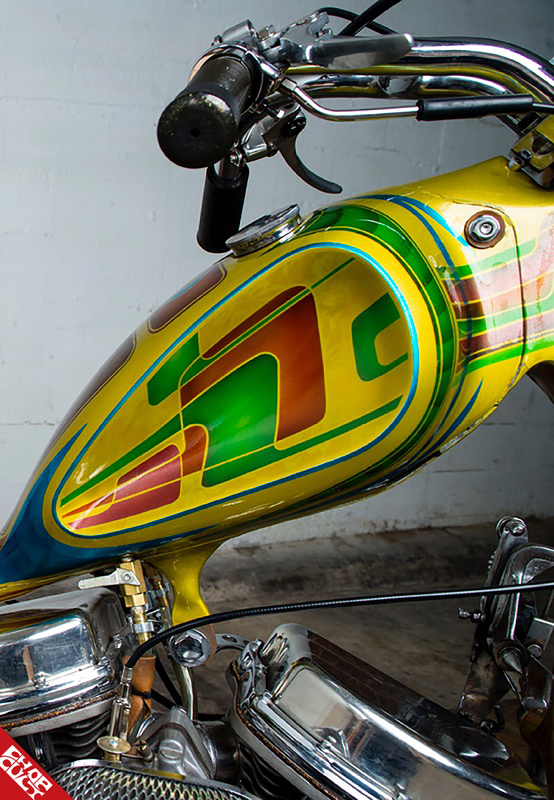 I have never met our featured artist, Denis, but started seeing his work all over Instagram and on some of my favorite motorcycles and every time I asked, “Who did this paint?” or “Is this a survivor paintjob?” the answer was “Denis did that craziness!”. So I am happy to be following him on IG, and seeing his art come to life. This guy actually doesn’t refer to himself as an artist (see below) which makes me think he is both humble and a lunatic at the same time. 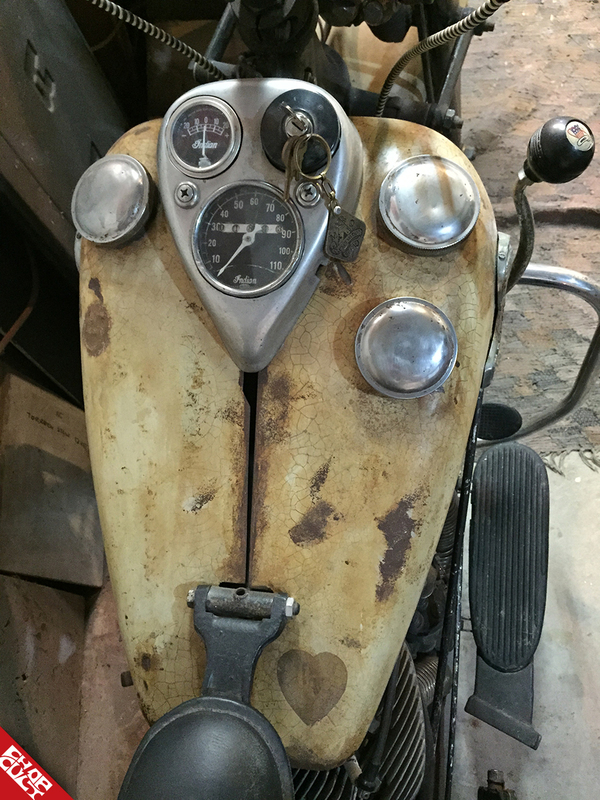 In any case, I had some questions for him about what inspires him, and when ChopCult presented me the opportunity to pick his brain, I did so electronically. So, read below to have your mind blown as to what makes this extremely talented artist tick! Hope to meet you outside of virtual reality, Denis! Give us your details! Name, birthplace, current location? Denis Babin raised in Media PA lived in Philadelphia for 15 years and moved to San Clemente 6 years ago. What got you into painting? 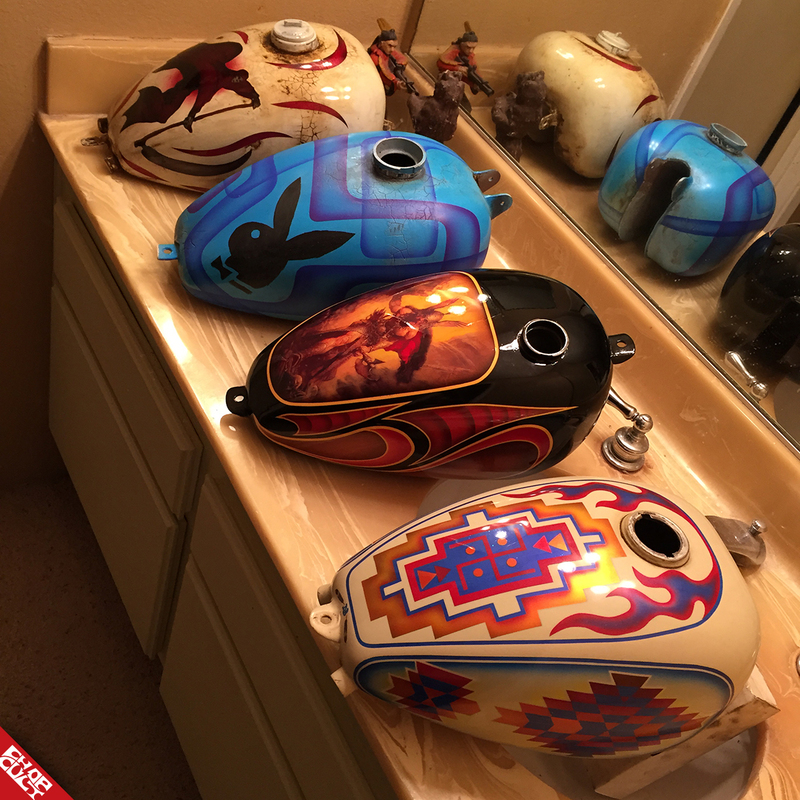 I got into painting because I was building my first chopper and I wanted a busy flaked-out paintjob so I went to see a painter for the tank and fender to get done, told him what I wanted, and he estimated it would cost about $2K. I didn't have the cash to spend on paint so I knew I could buy the air compressor, and all of the paint and tools I needed to do it myself. I just had him flake the tank and fender so I could paint over it. 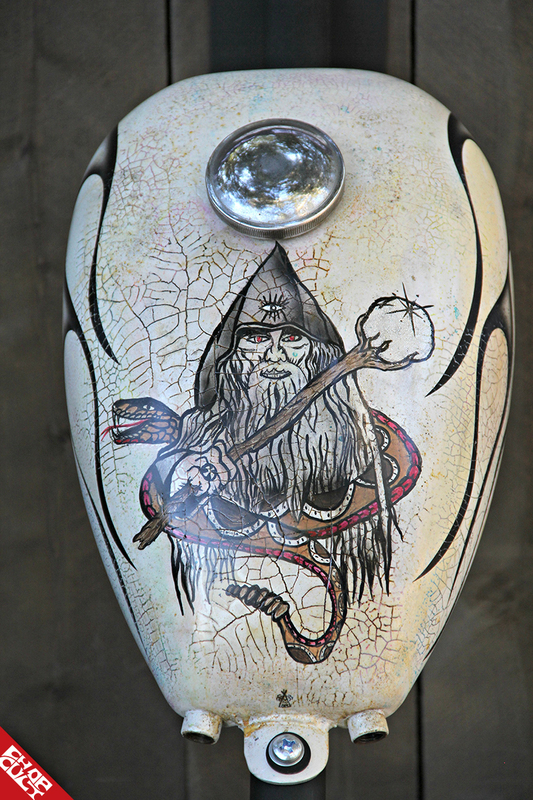 I painted a Sportster tank to practice on and it came out kinda cool so I put it on eBay and it sold for 800 dollars. That was a lot more than all the other tanks on eBay so obviously I kept doing it and never stopped painting. Are you exclusively working on bike tins now? Or if someone brought you a righteous Willys Gasser would you paint it? I am painting for a living now and I will paint anything if it can fit in my garage. Name one thing you would love to paint on a bike that you never have (keep it PG-13). And what about something you would never paint on a bike? One thing I would like to paint on a tank that I have not is a tough one. Every time I paint a tank I try my hardest not to do something I have already done. It holds me up and stresses me out but I really do try not to repeat anything. So to answer the next part of the question is something I would never paint would be anything other people have done. All of us painters are asked to paint tanks that other people have done and I would rather starve than copy someone. What’s your normal turnaround time in case somebody is itchin to get their tins painted? Does it vary as big events approach? Turn around time is always different for me. Whether it's old-looking paint jobs or nice shiny ones, some I can get right quick and some I do over and over. Also with having multiple jobs I tend to do what is easy I guess. It is crazy though how fast you can get something done when you have to like for a show I guess you are forced to come up with something and also get it done. On average I say a month, to be safe, but I have painted stuff in a week. What’s more therapeutic for you? Riding or painting? Why? I have to say painting is therapeutic for me at this point in my life. It is all I want to do with my time. I am in my own little zone and only have to think about what I am working on; nothing else matters. I get the iPad going with music or Netflix and I just zone out all day, all night; sanding, taping and squirting paint on stuff. Name three bands that come on the stereo and kick the painting into BEAST mode: 3 bands I like to get me going is not an easy one; I think it's all over the place depending what mood I'm in or what I need to think about doing. I love hip-hop 90’s; Nas, WuTang, etc. Also reggae roots or dancehall or I will put on some Bach orchestra music to calm me down and get my mind right. All depends on the task I think. What’s the funniest/most heartbreaking thing that ever happened to you while painting a tank? You know, like a Dave Mann tank falling-off-the-frame moment? The worst thing that has happened to me with painting a tank is easy. I have had so many things go wrong with painting actually ever single thing I paint I mess up one way or another. Skipping steps to get done faster will always take longer and I still do it but the one I will never forget has to be the first paint job I ever did. It was all done I bolted it on the bike, hooked up all the lines, it looked perfect. I then needed to drill a hole on the motor mount right under the tank and the drill chuck rubbed against the tank putting a huge scuff all the way down to the metal on the perfectly painted flaked polished tank I just finished for my bike! It was awful I didn't know what to do. 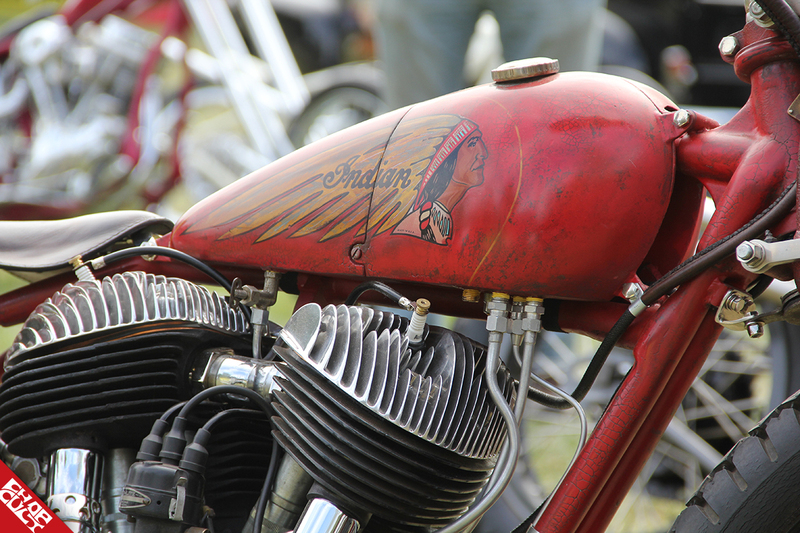 You’re known in the bike world for knocking out these perfect “period-correct” paintjobs, with all the crust and cracks that come with old paint. What is it about that style that is appealing to you? 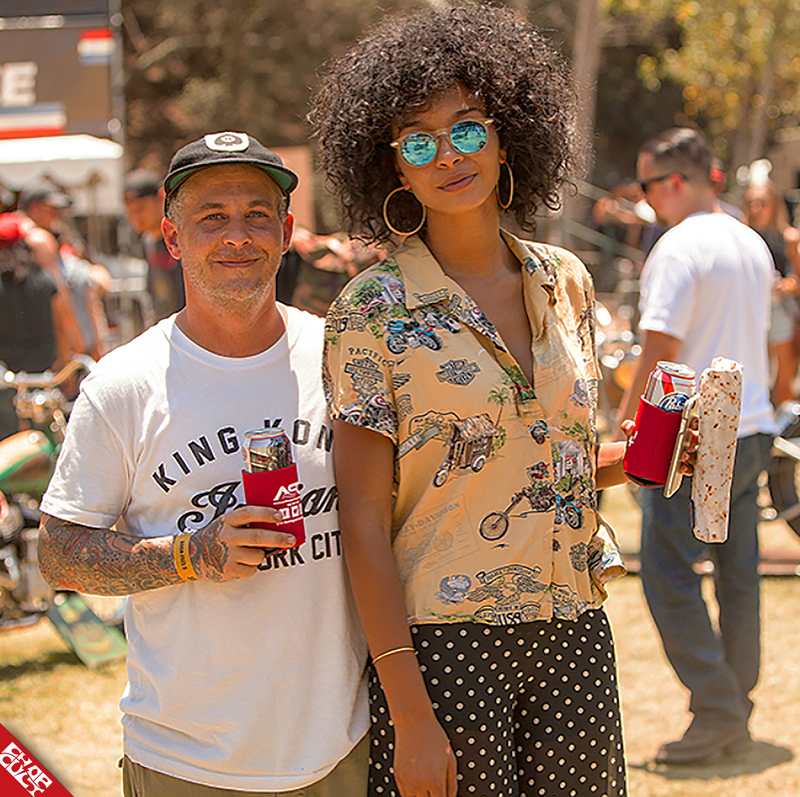 Why do you think riders gravitate to that style? Doing these old looking paint jobs is fun for me. Challenging myself to make it look real and having people not believe that it's new paint, when they know it's what I do, is rewarding. When I paint like that I use my hands most of the time covering every inch of the tank with something like every spec and spot is put there on purpose it's more like art to me, but I don’t consider myself an artist at all. Also I don't have to think as hard to come up with ideas when I'm doing stock-looking tins. I don't have to think about colors and designs as much as I do with a chopper tank. 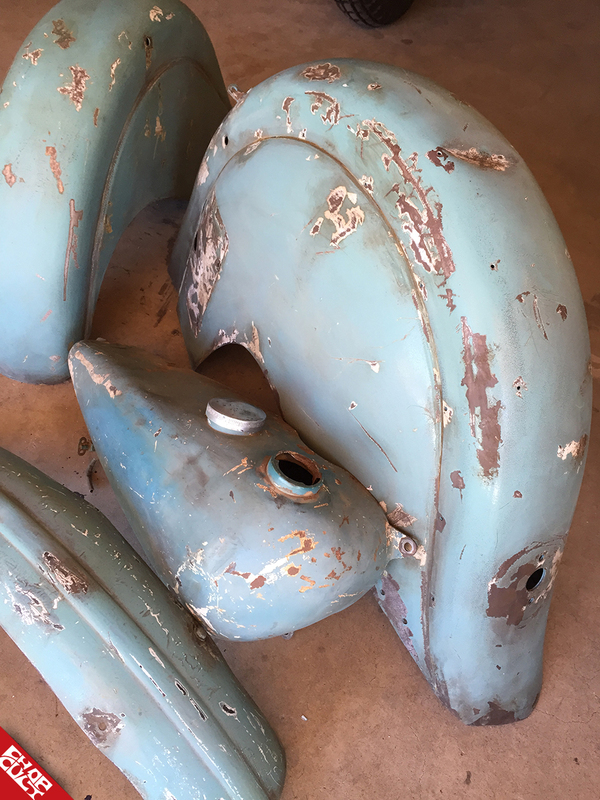 Matching old paint is fun to do as well, it's definitely a challenge and when you match something old and it comes out the same, it feels good. Who’s always got your back? For my painting I guess everyone always shows me love and has my back. I try to stay under the radar and not put myself out there I don't ever want to be famous or known as a person or a painter I just want the work to show and people to be happy with what I painted for them. At this point I guess I am a painter but I never wanted to be one. I don't want to be anything but I want to do everything if that makes any sense. Be sure to follow Denis on Instagram. beautiful work! 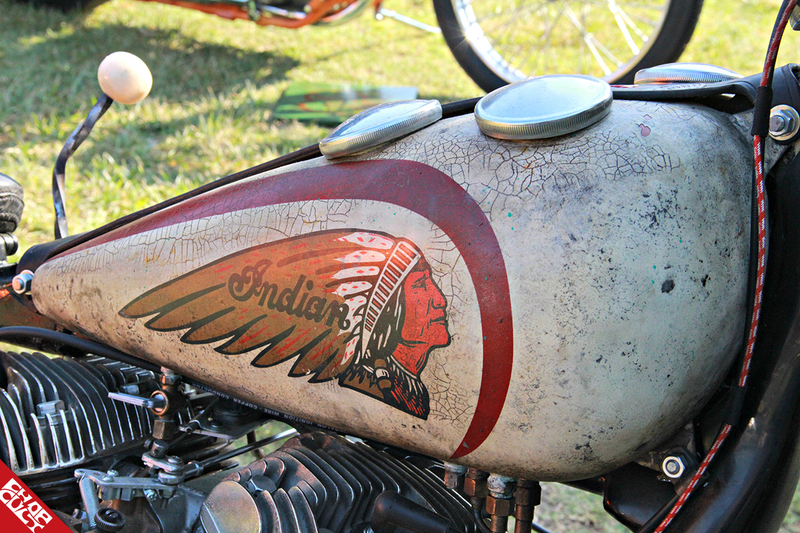 my first two bikes were indians that i got cheap cheap cheap in the 60s and early 70s... so i LOVE to see indians of every stripe! The cracks'n'patina stuff is amazing. i notice that the dude isn't giving up any secrets 'tho. Yo Homie, I was born in Media PA! Can I get a $ discount? HAHA Excellent work! Very cool work. Good article. "I don't want to be anything but I want to do everything if that makes any sense." Why would anyone want to fake age.It starts out new then ages with use.